Registration for Summer Session will open on 5/5 for current students and 5/12 for new students. This hour and a half class will expose children to the exciting world of climbing through lesson-based games and activities. 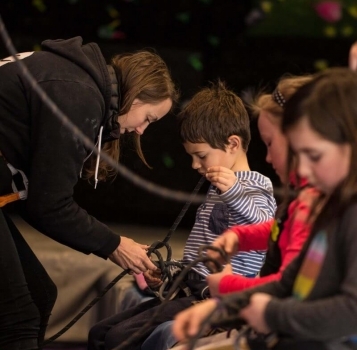 Children will be introduced to the theory of belaying, learn to follow routes, identify holds, use a harness and tie a figure-8 knot. 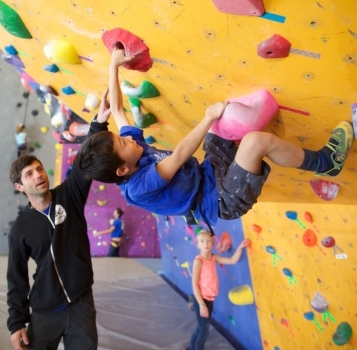 Our well-designed playful program and kid-friendly instructors help young climbers to discover potential strength and confidence, while learning to boulder and top rope safely. Please note that classes with 2 children or less may be combined. Belay lessons begin at the Super Monkey 2 level, upon instructor approval. In this hour and a half class, climbers will work toward mastering basic climbing skills and knowledge, learn to belay, and work on increasingly advanced climbing techniques, including dynos and flagging. Children will gain confidence as they become stronger, more experienced climbers, under the attentive guidance of our instructors. Please note that classes with 2 children or less may be combined. 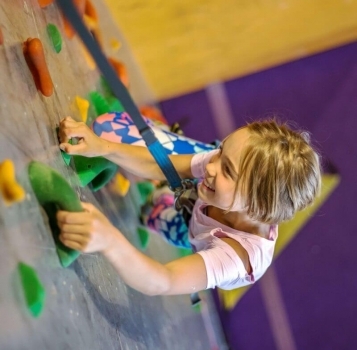 Belay Policy: Starting at age 7, upon instructor approval, ABC Kids Climbing introduces belay instruction to children enrolled in our classes and clubs. This is done through an invitation only, supplemental class and is completely at the instructors discretion. In these situations, children will have the opportunity to belay each other, while under constant instructor supervision. Belaying is a privilege that may be revoked at any time. Condensed classes offer an hour long variation of Super Monkey 1 and 2. Children learn to follow routes, identify holds, use a harness and tie a figure-8 knot. 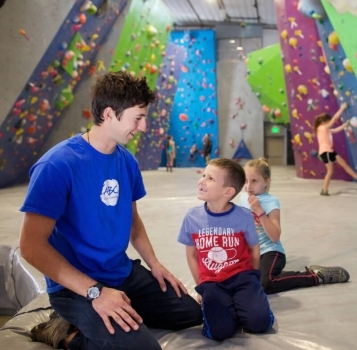 Our well-designed playful program and kid-friendly instructors help young climbers to discover potential strength and confidence, while learning to boulder and top rope safely. Please note that classes with 2 children or less may be combined. Condensed Super Monkey classes will not include instruction on belaying. Condensed Classes will resume in the Fall.